The following manuscripts seek to provide an overview of the activities of the Friendly Association for Regaining and Preserving Peace with the Indians by Pacific Measures between 1756-1772. Visit The Friendly Association Papers at Haverford College for a complete listing of manuscripts. 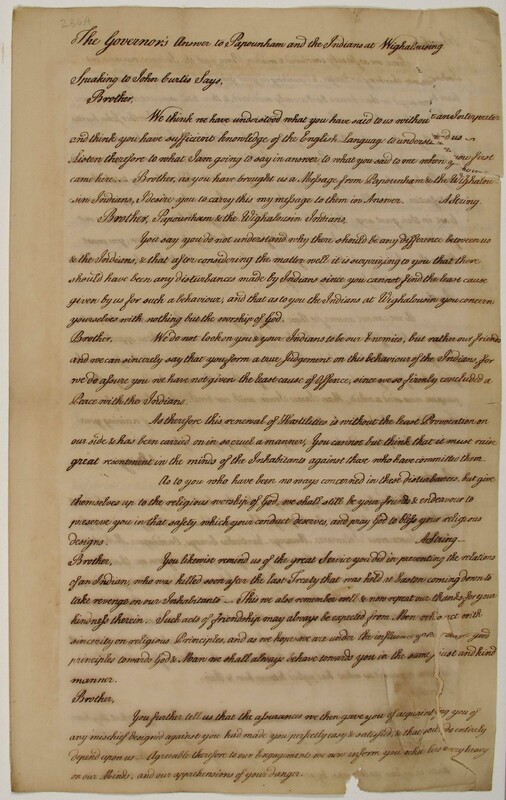 Check out Beyond Penn's Treaty, a new digital project from Quaker & Special Collections at Haverford College and Friends Historical Library at Swarthmore College. 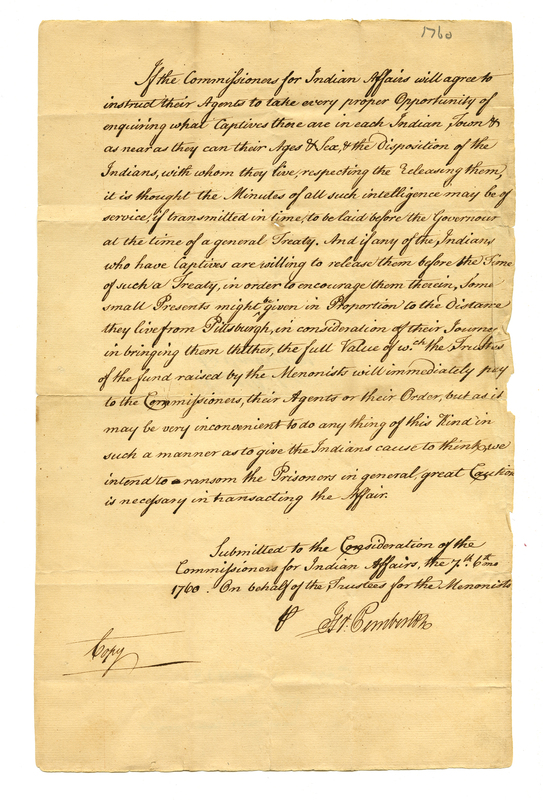 Beyond Penn's Treaty will provide access to linked and annotated versions of Quaker diaries, letters, and meeting records which record contact with American Indians. The site will allow users to search for people, organizations, and places within a variety of documents; view maps of travel routes and common locations mentioned; and transcribe documents. The stranscribed text versions of these documents, scanned images, and the metadata spreadsheets will be available for download and reuse. We have currently digitized 47 manuscripts, arranged chronologically in the path below "Contents."